From Siddharta to Sakyamuni and finally to the Buddha or the Enlightened one - an incredible transformation of a prince to an enlightened teacher, who walked the earth more than 2500 years ago. Upon seeing sorrow, misery, pain and death, in the prime of his youth, prince Siddharth decided to discover their causes and means of overcoming their occurrences. Thus renouncing worldly pleasures and leaving home and family behind , he traveled from place to place until finally attained enlightenment by fixed meditation under the Bodhi Tree. He then preached the truth he discovered, and exhorted his disciplines to follow the Eight Fold Path for the cessation of the endless cycle of birth and re-birth. 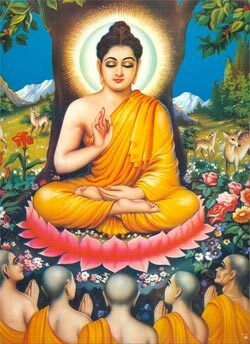 Buddha preached first sermon at Sanath - Dharmachakrapravrtana (Turning of Wheel of Law), The middle way, The four Noble truth-Chatvari Arya Satyani and The Noble Eightfold Path-Aryashtanga Marg. Buddha message spread rapidly, break all caste and class barrier. Buddha message related to our day to day life which is not carrying rituals. It is essentially concerned with all living, suffering being caught in the treadmill of desire and carving. He also spoke of ultimate nature of the existence which is sorrow, and this is the noble truth about sorrow. 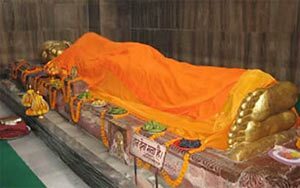 Gautam Buddha laid the foundation of Buddhism. It was in India where he found enlightenment and India boasts of having beautiful Buddhist monasteries and stupas. Nalanda, though disappeared in the 13th century, was once a world center of Buddhism. The various Buddhist pilgrimages in India attract a huge number of devotees from all round the world. What better place to visit than the holy Ganges, where most of the Buddhist pilgrimages are found. The feeling of eternity is always there and everywhere you turn your eyes you will find nothing, except rich heritage. In India the famous Buddhist spots are Bodhgaya, Nalanda, Rajgir, Sarnath, Sanchi stupa, Shravasti and cave temples of Ajanta and Ellora. It was in Lumbini, Nepal where Lord Buddha was born and here you can find the ruins of the stupa and pillar by emperor Ashoka. 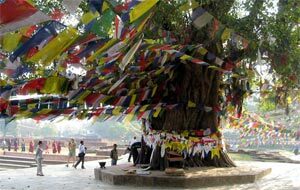 Bodhgaya is the place where Buddha got enlightment under the Bodhi tree which seems to have an eternal life, sprouting even after being destroyed completely. The Mahabodhi temple and a monastic order looking after the three monasteries are things of interest here. Though Sarnath monasteries are in ruins now, they attract a lot of devotees. Shravasti boasts of Buddha's miracles and the Mahabodhi temple and a monastic order looking after the three monasteries are worth visiting. If you want to know Buddha and his teachings in depth you must visit the Buddhist pilgrimages in Nepal & India.